Are “Health” and “Wellness” The Same? Posted on April 12, 2019 | Comments Off on Are “Health” and “Wellness” The Same? Often used interchangeably, the origins and meanings of the terms health and wellness are not actually equivalent. Very briefly, health is a state of being, while wellness is a pro-active state of living a healthy lifestyle. When tasked with defining health in the 1940’s, The World Health Organization (WHO) delineated health as “a state of complete physical, mental and social wellbeing, not merely the absence of disease or infirmity.” Per WHO, health is impacted by the social, physical and economic environment, as well as an individual’s characteristics and behaviors. Additional determinants of health include factors over which an individual may have little or no direct control, such as income and social status, education, physical environment, social support networks, health services, genetics and gender. Wellness is considered multidimensional and holistic, encompassing lifestyle and the environment, as well as mental and spiritual wellbeing. 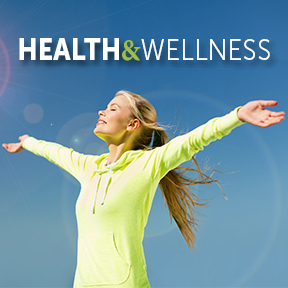 Positive and affirming, wellness is about factors that positively influence a healthy, balanced lifestyle. Per the National Wellness Institute (NWI), wellness is considered “an active process through which people become aware of, and make choices toward, a more successful existence.” Further, “wellness is a conscious, self-directed evolving process of achieving full potential.” In short, an active mindful focus on wellness builds the resilience to thrive, rather than just survive. Per the NWI, a wellness approach as a pathway to optimal living includes the benefits of regular physical activity, healthy eating habits, strength, vitality and personal responsibility, as well as self-care, self-esteem, self-control and a sense of direction. While many experts cannot agree on a true definition of health, we know that health depends on a balanced diet, regular exercise, proper sleep and good hygiene habits, as well as our social environment and economic status. When the British Medical Journal tasked medical organizations worldwide to redefine the meaning of health, participation was weak, as many viewed this as an extremely ambitious and complex goal. The 38 respondents concluded that only a very small percentage of people would fit into the WHO definition of health. The participants reported they were disinterested in defining health, as their interest was focused on disease, not health. Wellness, on the other hand, goes beyond physical health and has a connotation of happiness and contentment in many areas of life. Physical – The realization that adopting healthy behaviors and avoiding destructive habits has a significant impact on wellbeing. Intellectual – Finding ways to expand knowledge and skills, learn new concepts and seek challenges, as well as recognize creative abilities. Environmental – The ability to recognize one’s own responsibility to make a positive impact on the quality of one’s environment to support wellbeing. Emotional – Effectively coping with life, creating satisfying relationships and the ability to acknowledge and share emotions productively. Financial – Satisfaction with current and future financial situations. Social – A sense of connection and belonging, as well as a well-developed support system. Occupational – Personal satisfaction and enrichment derived from one’s work, while still maintaining balance in life. Spiritual – The ability to establish peace and harmony in life, as well as a sense of purpose and meaning. Perhaps, by defining health and wellness, it’s easier to understand the interconnectedness of all the dimensions of wellbeing. As described by the Boston University College of Health & Rehabilitation Sciences, good physical and mental health are linked to healthy choices. Improving physical health benefits mental wellbeing and vice versa. Personal behavior and coping skills and how we deal with life’s challenges and stresses all affect health. While the definition of health may include the absence of disease, wellness is not the absence of illness nor stress. Wellness is the ability to actively pursue a state of good health even when experiencing difficulties in life. Mindfully practicing daily healthy habits, engaging in one’s highest priorities and adapting to changing circumstances contributes to quality of life as one embarks on the continual journey toward optimal health and wellness. Comments Off on Are “Health” and “Wellness” The Same?